As of now the event has been cancelled. 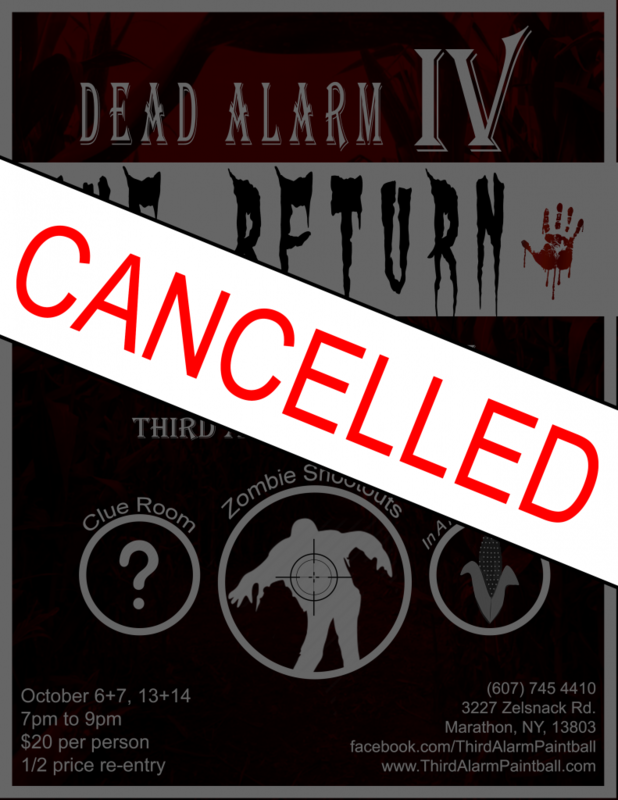 [UPDATE] October 2nd: Thank you to everyone who hoped to participate in the 4th annual Dead Alarm event. We regret to inform that the 2018 event has been pulled for administrative reasons, although we may do a similar event in a future year. 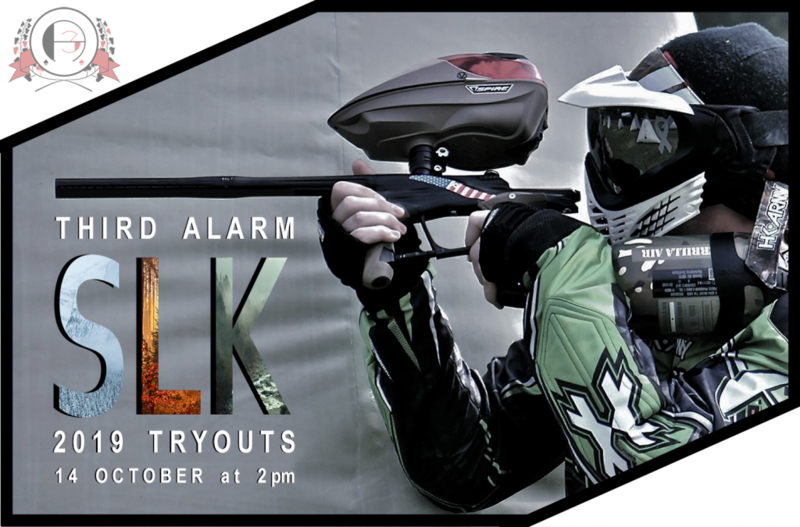 Third Alarm Paintball SLK tryouts for the 2019 season are coming up! We’re looking for players of all levels to form two teams; an advanced team and an intermediate farm team. SLK will be playing in local and national competetive tournaments. Paint will be $45 per case. Tryouts will begin at 2pm the 14th of October at Third Alarm Paintball. Hope to see everyone there!